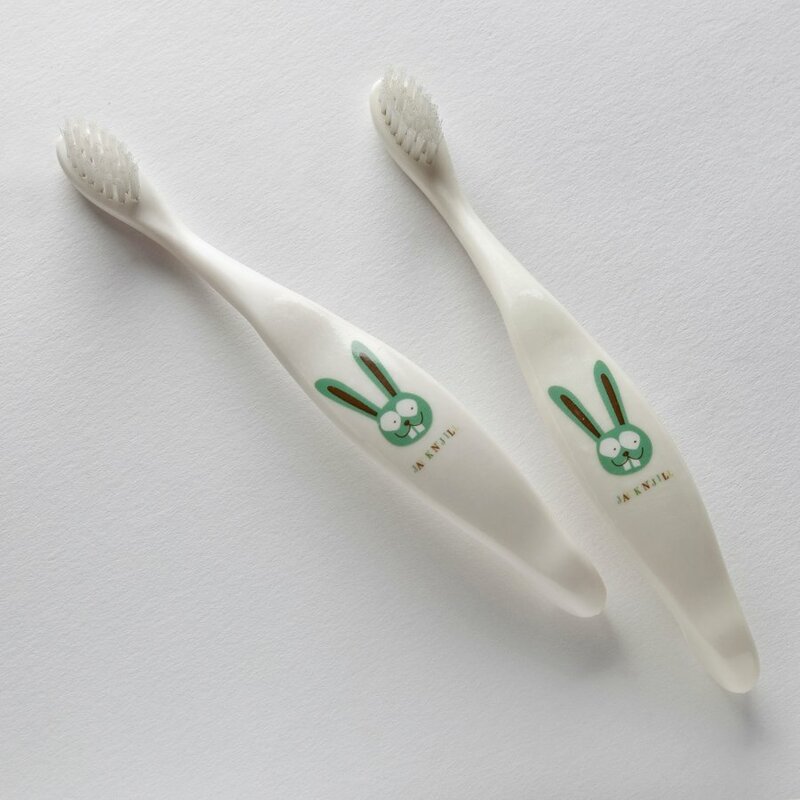 The quirky bunny face on the handle of this eco-friendly toothbrush is just one of the features that will make encouraging your child to clean their teeth easier. The ergonomic handle is easy to hold and the nylon bristles are soft and rounded for superior cleaning. So what makes this toothbrush so good for the environment? Well, as you know, for effective cleaning, toothbrushes should be replaced every eight weeks, which creates a lot of waste. However, the handle of this toothbrush is made from 100% corn starch which is completely compostable, reducing unnecessary waste to landfill. 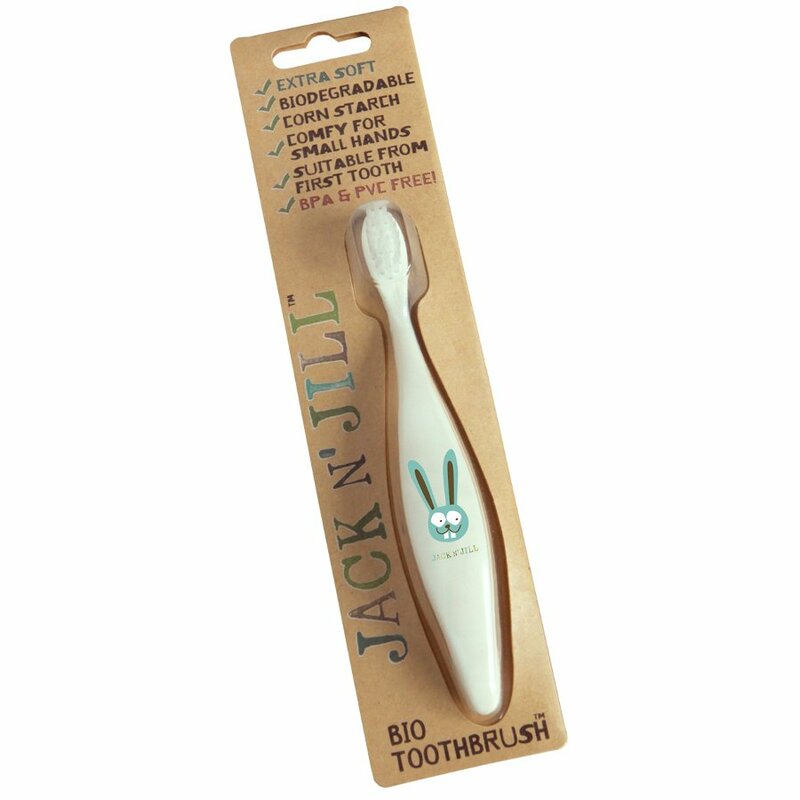 The Jack N' Jill Toothbrush - Bunny product ethics are indicated below. To learn more about these product ethics and to see related products, follow the links below. Little one loves it. Small head, lasting well. There are currently no questions to display about Jack N' Jill Toothbrush - Bunny.